A close up photograph of a Harmony Anemone flower with a grass lawn in the background with a little bit of texture added. How wonderful it is to enjoy such color in the early morning. Photographed on the Gila River outside of Phoenix, Az. It has been awhile since I have posted anything to this blog . 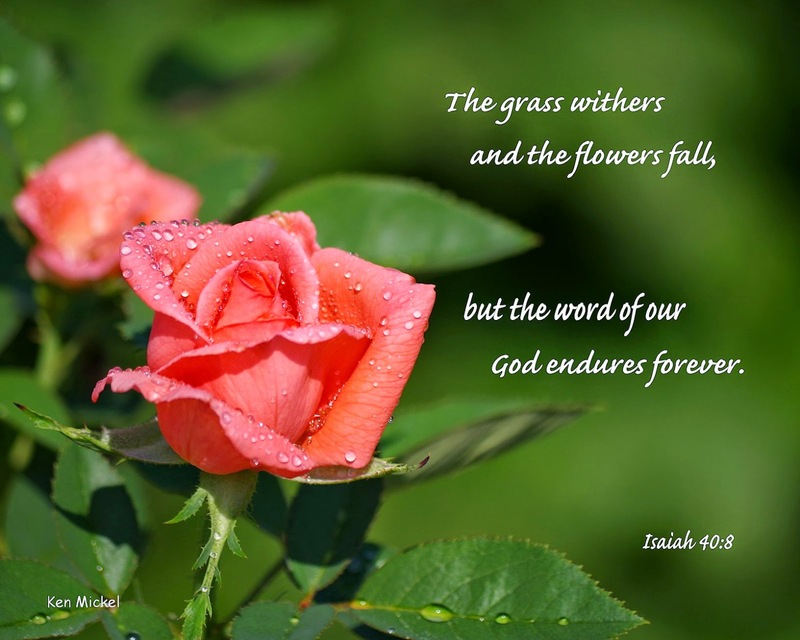 Over the last couple of years I have been on Facebook posting my photography along with Bible verses and have decided to to the same thing here. My prayer is that I may bring glory to God in sharing His word and showing the beauty of His creation through my photography. 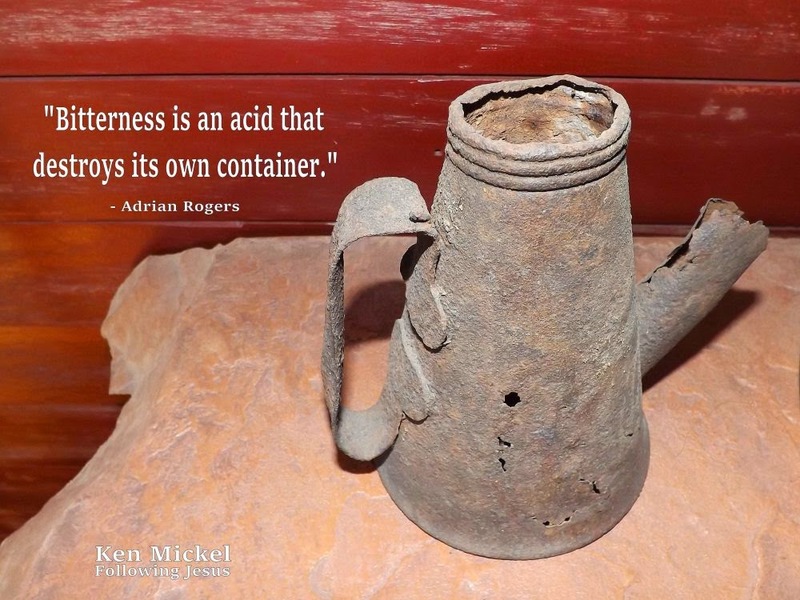 "Bitterness is an acid that destroys its own container." The heart of sinful man is hate, anger, revenge, jealousy, and to get even with those who offend us. 31 Let all bitterness, wrath, anger, clamor, and evil speaking be put away from you, with all malice. 32 And be kind to one another, tenderhearted, forgiving one another, even as God in Christ forgave you. 43 “You have heard that it was said, ‘You shall love your neighbor and hate your enemy.’44 But I say to you, love your enemies, bless those who curse you, do good to those who hate you, and pray for those who spitefully use you and persecute you, 45 that you may be sons of your Father in heaven; for He makes His sun rise on the evil and on the good, and sends rain on the just and on the unjust. 46 For if you love those who love you, what reward have you? Do not even the tax collectors do the same? 47 And if you greet your brethren only, what do you do more than others? Do not even the tax collectors[j] do so?48 Therefore you shall be perfect, just as your Father in heaven is perfect. Did you notice the error in the above picture? If not, go back and read the verse written on the image. Do you see what is missing? There is one important word which should be there, but it is not. That word is "God." You might be asking "why in the world would you post such an image as this." Well, I did it to make a point. Recently I had a coupon to make a framed canvas print at a very nice price. I had a very short time to get the order off or the coupon would expire. Not only this, my computer was a nightmare to work with because it was giving me a ton of trouble. 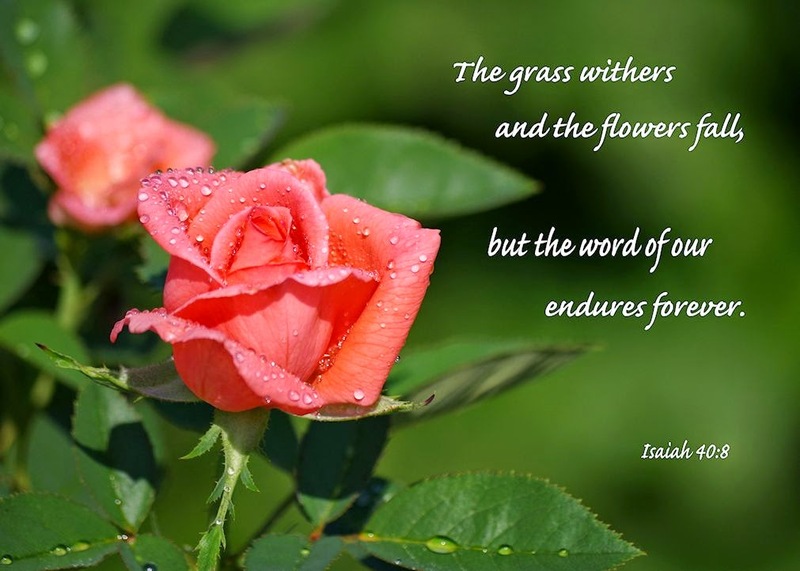 However, I decided to go ahead and use the above picture and insert this bible verse on it and then send it off. I copied and pasted the Bible verse so that I would have no typos. After getting the image laid out as I wanted, I sent it off for processing. Upon receiving my print in the mail, I opened it excited with how it turned out. As I was enjoying the image and admiring how nice it would look on the wall that I noticed the error. Now I was so disappointed because in no way would I would want to hang this on our wall. It just would not be right. So what is my point of posting such an image? When we remove God, things are just not right. We live in a society today where many are trying to do just that. For example the phrase "separation of church and state" is heard over and over again. They have removed prayer from our schools and wonder why our teens are so troubled. In society today, things which God calls evil, many call good, like sexual immorality. If someone wants to save themselves for marriage, people see them as being weird. We live on a world full of hate and nations seeking war. Many in their quest for more power are destroying the lives of many. We must remember the words of Jesus in John 10:10, "the thief does not come except to steal, and to kill, and to destroy. I have come that they may have life, and that they may have it more abundantly." If we as a society remove God, all we have left is the devil. Many will think that life will be better without God, but that is a lie that leads to destruction. I would like to encourage all believers in Christ to call out to God that He sends forth a revival across our land so that the works of the devil are destroyed and many find eternal life in Christ. The choice is simple, " Jesus and life or the devil and death." Below is the image as it should be. I just wanted to let my friends know that my mother passed away last Wednesday. Sorry for the delay in updating you, but I have not been much on the internet. I thank everyone who has been praying. God bless you all. He who has the Son has life; he who does not have the Son of God does not have life. These things I have written to you who believe in the name of the Son of God, that you may know that you have eternal life, and that you may continue to believe in the name of the Son of God. This blog is all about Jesus. It is my hope and prayer, even if just in some small way, that the Lord will use my site to draw people to Himself. to Him be glory in the church by Christ Jesus to all generations, forever and ever. Amen. And the Lord will deliver me from every evil work and preserve me for His heavenly kingdom. To Him be glory forever and ever. Amen! When you pass through the waters, I will be with you; And through the rivers, they shall not overflow you. When you walk through the fire, you shall not be burned, Nor shall the flame scorch you.